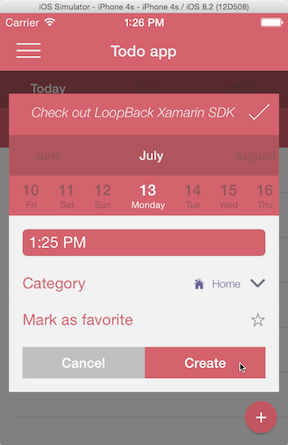 Example of creating a LoopBack client using the Xamarin SDK. 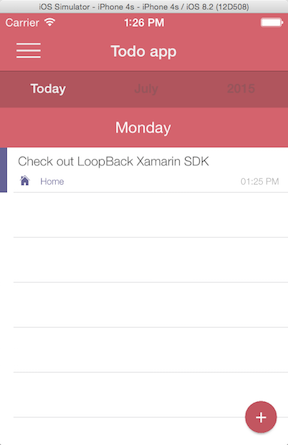 Note: This page was generated from the loopback-example-xamarin/README.md. Server directory: Loopback server application. 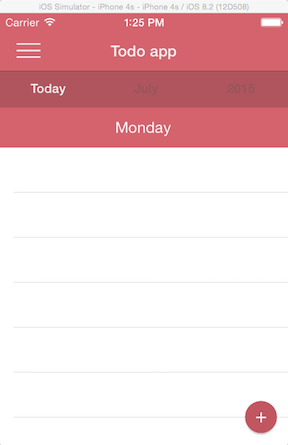 Client directory: The ToDo client app, created in Xamarin Studio with Xamarin Forms for iOS. Install Xamarin Studio. NOTE: You must get the full Studio (trial) license, not just the “starter” license. You can either run the LoopBack server app yourself, or connect to the demo app running at http://xamarindemo.strongloop.com. Run the application: $ node . 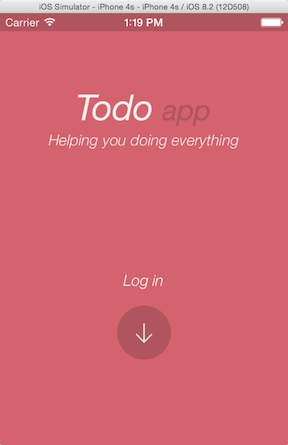 Alternatively, you can run the Xamarin client app against http://xamarindemo.strongloop.com. Edit LBXamarinSDK.cs and change BASE_URL to http://xamarindemo.strongloop.com/api. 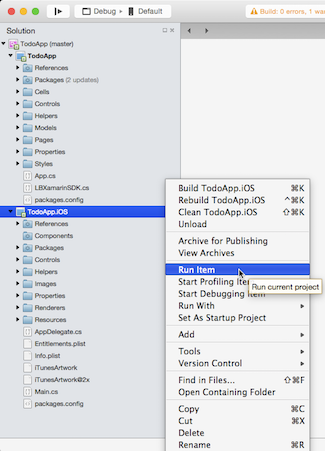 Open the client app solution with Xamarin Studio: loopback-example-xamarin/Client/Todo App/TodoApp.sln. The iOS Simulator will appear running the client app. It may take a moment or two. Enter an email address and password (they are not validated). If you already signed up in this session, click Login with the credentials you entered previously. Change the date, time, category and mark as a favorite if you wish. Click Create to add the item. You’ll see the item appear in the “To Do” list. You can confirm that the data is also added to the LoopBack model using LoopBack API Explorer.